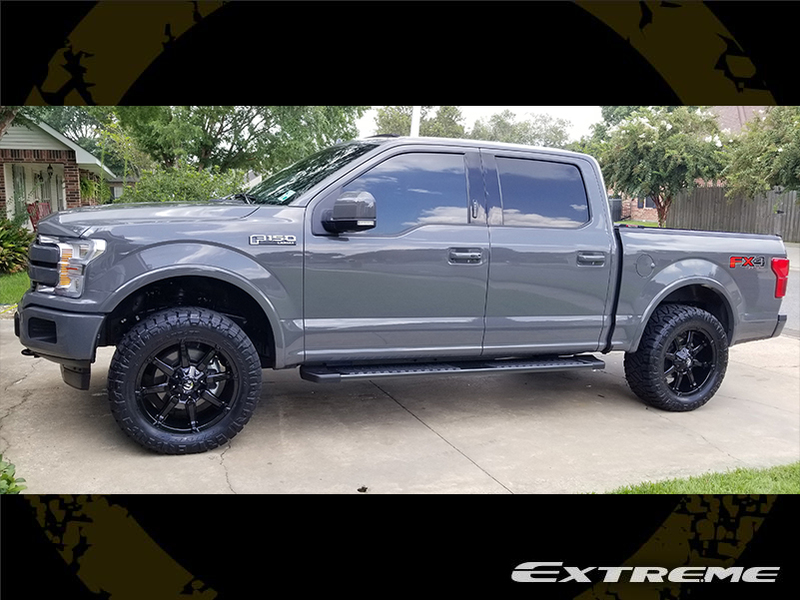 This 2018 Ford F-150 Lariat Crew Cab Pickup 4WD has a ReadyLift 2.5-inch Leveling Lift Kit installed with 20x9 Fuel Offroad Coupler D575 Black wheels that have a +1 offset. 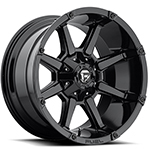 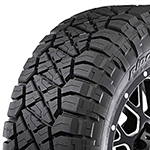 The wheels are wrapped with Nitto Ridge Grappler 295/55R20 tires that have a 32.76 inch overall diameter. 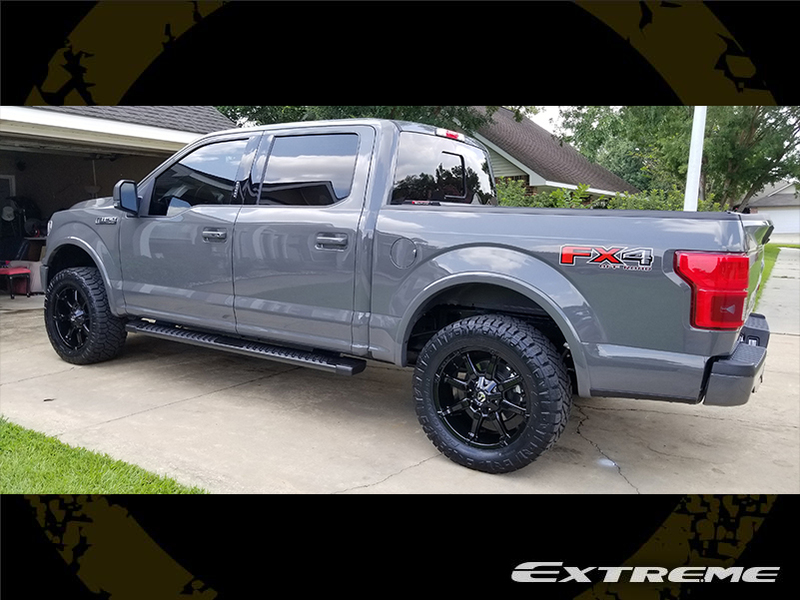 The stance is flush.